Today, after much delay* I turn the harsh, unforgiving spotlight on witches. 1. a person, now esp. a woman, who professes or is supposed to practice magic, esp. black magic or the black art; sorceress. Compare warlock. 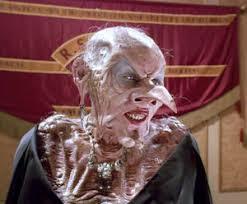 2. an ugly or mean old woman; hag: the old witch who used to own this building. 3. a person who uses a divining rod; dowser. Witches are everywhere, and this isn't always a bad thing. 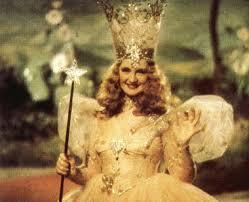 Glenda the Good Witch: not a bad thing. Sabrina, and other teenage witches: not a bad thing, provided they're properly trained. But there are menacing witches out there, and it is crucial to be able to tell the difference. Look at the way they are dressed. Are they wearing any hats, pointy or otherwise? Long, flowing skirts? Wicked, wizard-kicking boots? 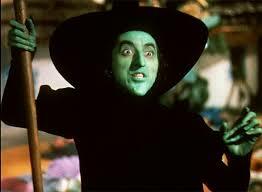 If yes to the hats and/or boots, you may be dealing with a bad witch. The skirts may mean a good witch. Or a bad witch. Or a hippy. Do they walked hunched over or with a painful stiffness? They may be a witch, or they may be suffering from arthritis. Or, they may be a witch suffering from arthritis. Do any animals follow them around? If so, pay attention to the animal. Good, friendly animal = good witch. But too-knowing, mean or shape-shifting animal typically means bad witch. is the house made of gingerbread, or any other baked good? do they cook with or own a cauldron? All of these things can help you discover a witch in your midst. But nothing is foolproof. As we learned with the Salem Witch hunts, it's better to just point your accusing finger at anyone you may suspect, or anyone who has wronged you in some way. Chances are, they are a witch. In fact, are you a witch? Do you know what kind of witch you are? You may want to go here and find out. Or learn more from Laurie Cabot, "official witch of Salem" and co-founder of The Witches League for Public Awareness. I kid you not. Who is the best Power of Three? Hocus Pocus = one of the best movies... ever. I love Hocus Pocus! Love the post! Hi Misty, thanks for mentioning my post up there, it took some time to put together. I love your post. Witches are one of my favorites. I always wanted to be one. Adore Practical Magic (and the book). Can't believe I can't find the Good Witch on DVD. The Craft has the most amazing soundtrack. I still watch Sabrina re-runs. Great post ! "This flying humanoid", haha ! Good to know I'm now able to identify a witch. For witches, both good and bad, you can't beat the ones in The Wizard Of Oz. I love Hocus Pocus, i'm forgot that i have that dvd! I'm going to watch it asap.. :) I put a spell on you..woohoo..so funny! I absolutely love Hocus Pocus! The witch from Snow White freaks me out...thus the reason I will NOT ride the Snow White ride at dland. But I do love the Hocus Pocus movie. Scooby Doo has a great witch movie with the Hex Girls songs...my niece watched that movie over and over again when she was a toddler. Witches have gotten such a bad rep since that whole Salem Witch Trials mishap. I used to be a witch! Wicca that is, until I realised I was an athiest. I love witches as protagonists as they're always powerful, proactive women. This genre seemed to have died off a little of late. I hope there's a revival soon. BTW, you have an award waiting at my blog! Hmmmm...I'm not sure how but somehow I missed this post when you first posted it and just stumbled across it now...Anyways, just wanted to let you know that the National Geographic interactive thing was great! I'm kind of obsessed with the Salem Witch trials. They're just so interesting!